Check the cottage availability by email. The reservation is considered as definitive upon receipt of the deposit of 30 % of the amount of the stay. 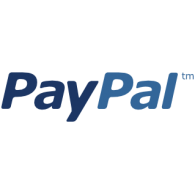 Payement by bank transfert, cheque, cash, Paypal. Arrivals are from 5.00pm onwards. The owner keeps the deposit for any stays cancelled less than 30 days before the arrival date. The stay must be paid at least 30 days before the date of arrival.